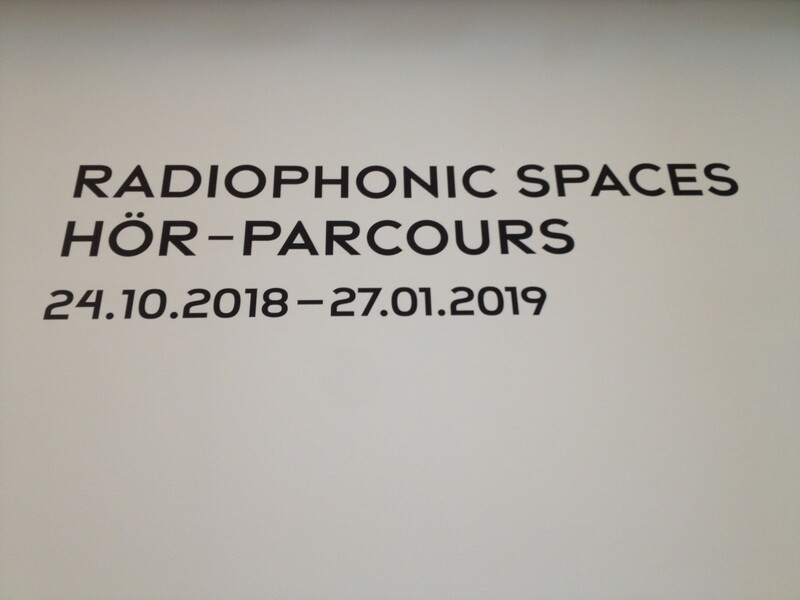 Opening of Radiophonic Spaces Exhibition at Museum Tinguely, Basel (CH). 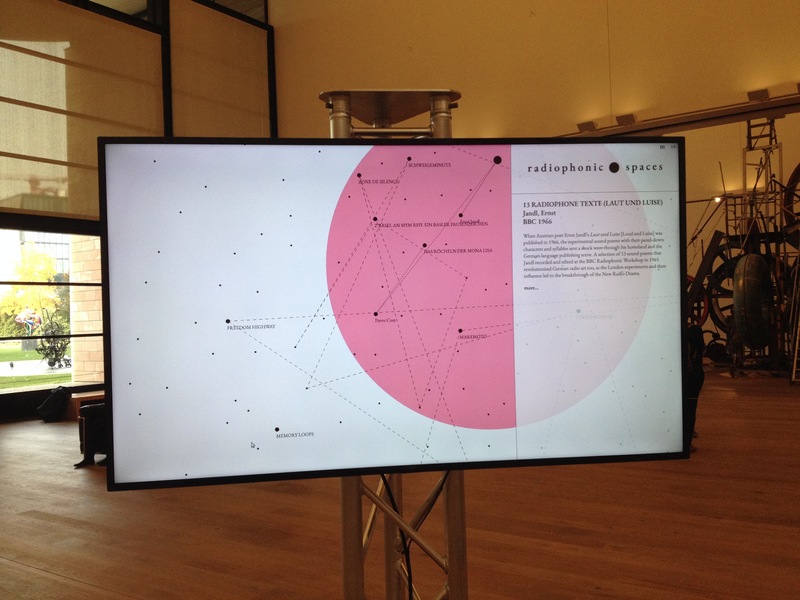 Today is a very special day: After many years of envisioning and a couple of years of thorough research and hard work, Nathalie Singer and her team present their Radiophonic Spaces exhibition to the public at Museum Tinguely in Basel, Switzerland. 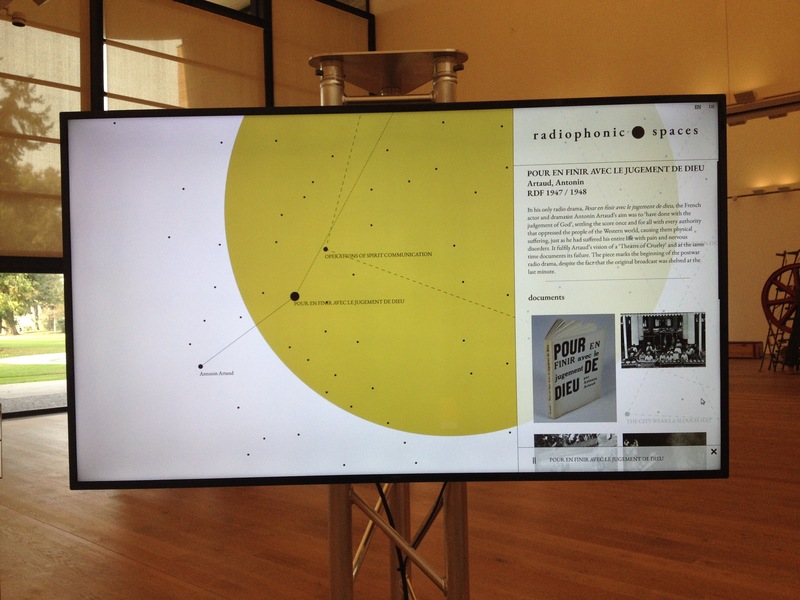 This “sonic journey through the history of radio art” is unique in many ways: It brings together more than 200 curated pieces of radio art from the last 100 years and from all over the world. 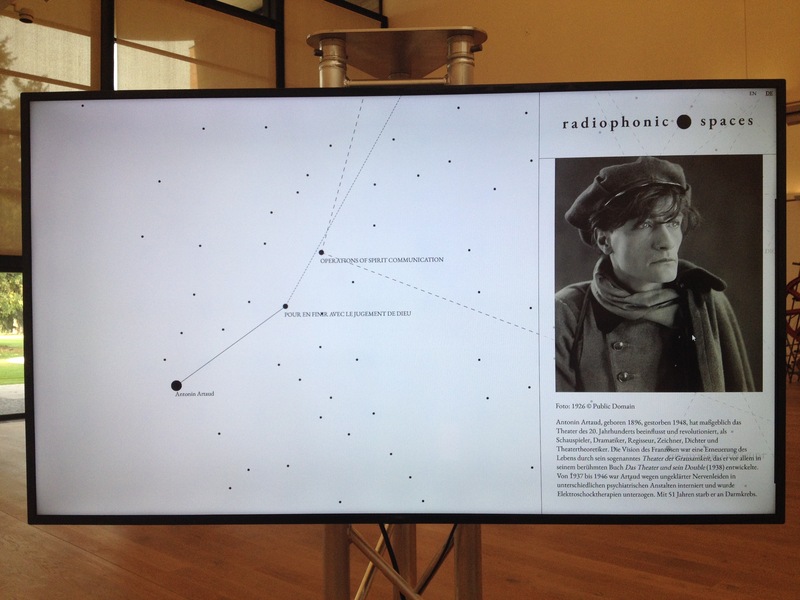 Thus it documents the historical and ongoing explorations of the intriguing, ever-changing sound medium radio by artists like Antonin Artaud, John Cage, László Moholy-Nagy through to Michaela Melián, Andreas Ammer, Colin Black, Tetsuo Kogawa and Gregory Whitehead. Not only did I have the great pleasure to witness when Nathalie developed her first ideas regarding such a mind-map of radio art during my time as scientific assistant at the Seminar for Media Studies at the University of Basel, where I participated in developing the research project Radiophonic Cultures. To my great delight I also had the chance to contribute with some texts to this exceptional exhibition, which is crucial for my own field of research. 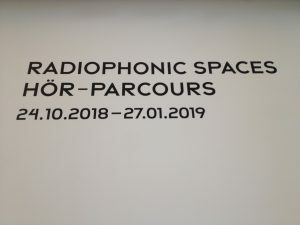 While writing my texts for the exhibition it was very hard for me to imagine how it really would look like in the end, as exhibiting radio art is a rather difficult endeavour, as one can image. How do you “show” sound?! 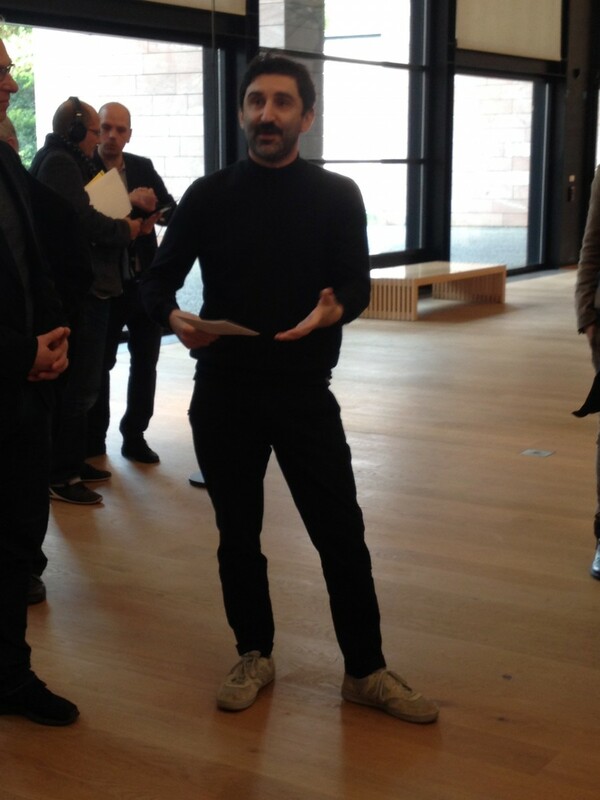 However, the artist, architect and musician Cevedet Erek did an amazing job in desinging this installation. Cevedet Erek explaing the installation. One can’t see at first glance how much work is retained in this rather minialistic, zen-like, high-tech set-up, but the interplay of sound and space is truely technically sophisticated and allows the visitor to dive into the immersive sound waves of radio art: Equipped with headphones and a specially programmed smartphone one moves through wired surroundings, hearing only static in most of the space. But the closer one gets to one of the transmitting wires, one acts like a “human radio dial”, activating particular works of radio art, which one suddenly hears via the headphones and which bring Mini FM stations to mind. 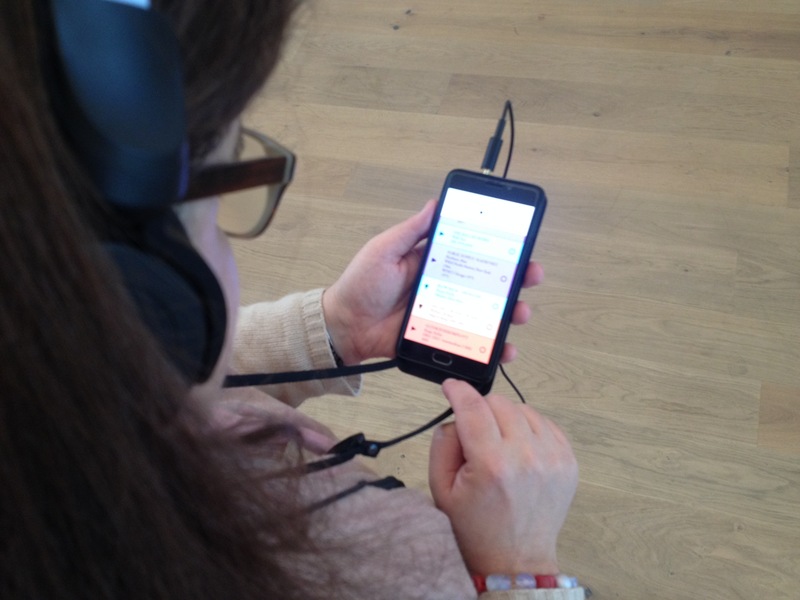 If one likes what one hears and wants to listen to the whole piece, one can save this particular work of art by touching a button on the display of the smartphone. Afterwards one can listen in a nice leather armchair unhurriedly to the complete piece. 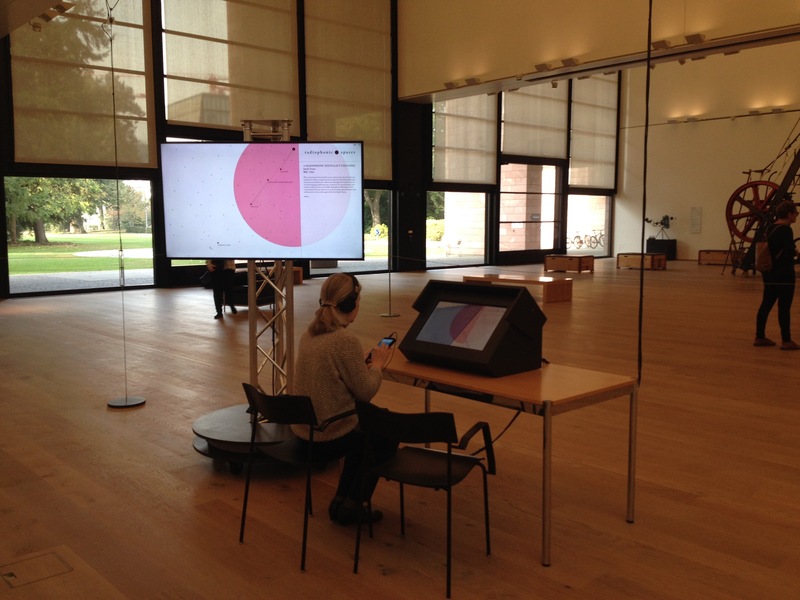 In addition one also can sit in front of one of several monitors, where one will find more information about the whole piece, its history, production and recording process and technology as well as about its author and about how this particular piece relates to other works from the history of radio art. This mind map is also supposed to go online as soon as possible. I had the great pleasure and challenge to contribute with some texts for several crucial, canonical radio art works of the 20th century. E.g. I wrote about La Battaglia di Adrianopoli (1924) by Filippo Tommaso Marinetti, Antoin Artaud’s Pour en finir avec le jugement de dieu (1947/48) and Ernst Jandl’s Das Röcheln der Mona Lisa (1970) as well as his 13 radiophonic pieces (1966), which he was invited to record with legendary sound engineer Delia Derbyshire at the famous BBC Radiophonic Workshop after his celebrated perfomance at the Great Poetry Reading at the Royal Albert Hall in London in 1965. Rather contemporary pieces, which I wrote about for the exhibition, are e.g. the wonderful Sirius FM by Ulrich Bassenge and Philip Stegers (2017) about the renowned Studio für elektronische Musik in Cologne and the important composer Karlheinz Stockhausen as well as Dan Lander’s Talking to a Loudspeaker (1989/90) and Andreas Ammer’s Kaiser Wilhelm Overdrive (1991). 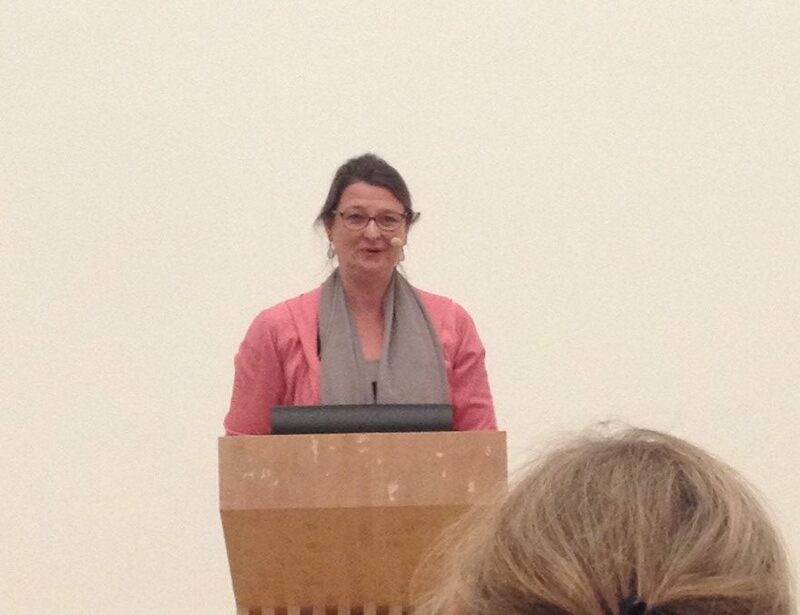 Congratulations to Nathalie Singer and the whole team, who made this fantastic exhibition come true. You did an amazing, very valuable job for this unfortunately still way too much neglected and unknown but fascinating art form. Thank you so much! And last but not least of course a very big thank you to all the woderful radio artists out there, who don’t stop creating and sharing their precious, invisible art. This exhibition eventually liberates many of your art works from the archives of the radio stations and gives them back to the public. 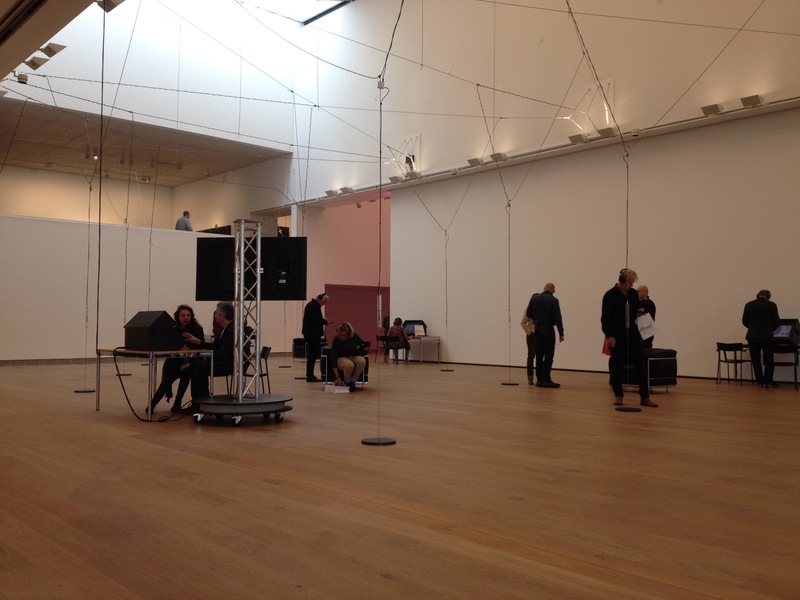 After 100 years this exhibition gives radio art eventually the recognition it deserves. 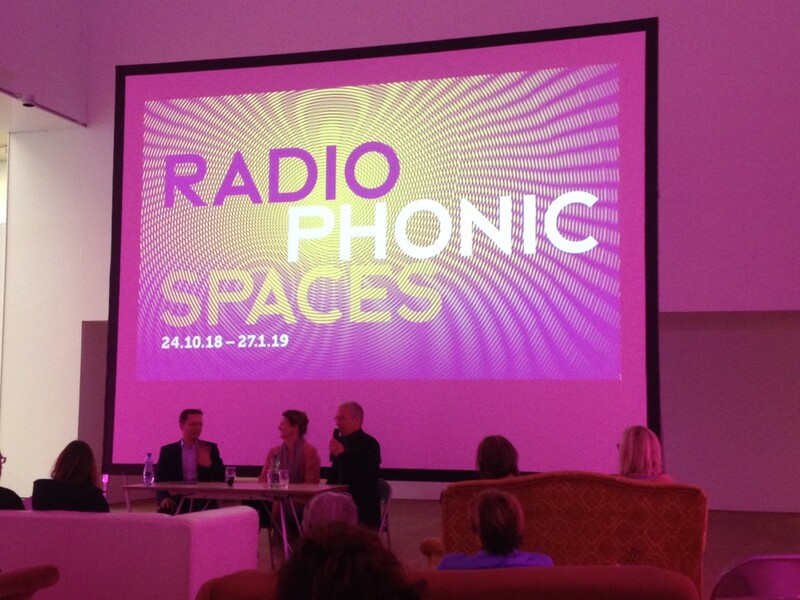 Radiophonic Spaces will also be exhibited at Haus der Kulturen der Welt in Berlin (Nov 1 – Dec 10, 2018) as well as at the University Library of Bauhaus-Universität Weimar within its centenary in summer 2019. Dieser Eintrag wurde veröffentlicht in Electronic Art, Mixed Media, Music / Sound, Radio, Texts von ania. Permanenter Link des Eintrags.